The most sparkling gem in the crown of India, Taj Mahal is an epitome of architectural beauty, high on grandeur quotient that depicts the glory and sumptuousness of the bygone era. It is romantic poetry celebrated in white marble studded with precious and semi-precious stones. This stunning and opulent architectural marvel was built by the Mughal Emperor Shah Jahan in the 16th century in memory of his beloved wife Mumtaz Mahal. It is a testimony of his eternal love for his wife. The pride of the Agra city in Uttar Pradesh, Taj Mahal flawlessly reflects a perfect am amalgamation of Islamic, Persian, Turkish and Indian architectural styles. 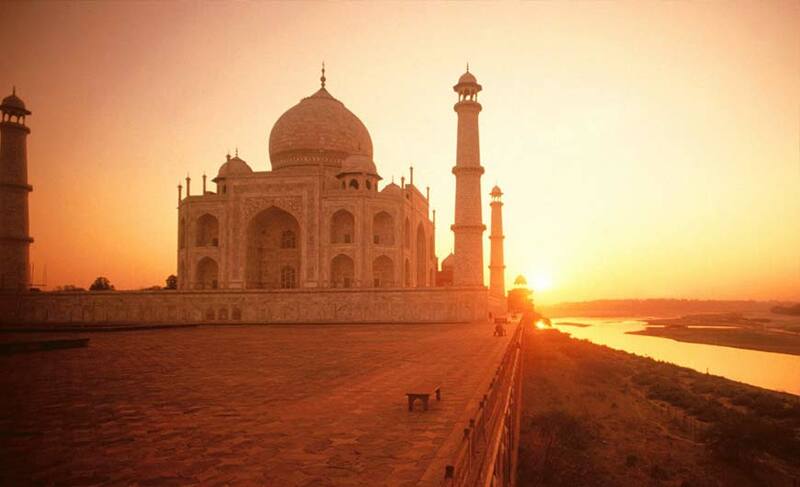 It would be no exaggeration to say that if you have not visited Taj Mahal, you have not visited India. Its beauty not only enchanted travellers from across the globe but also won the hearts of the famous personalities like Rudyard Kipling who beautifully described it as ‘the embodiment of all things pure’, Poet Rabindranath Tagore who called it ‘a teardrop on the cheek of eternity’ and its own creator Emperor Shah Jahan said ‘it made the sun and the moon shed tears from their eyes’. No wonder this fabled white marble mausoleum located on the bank of river Yamuna attracts around 60,000 visitors every day. 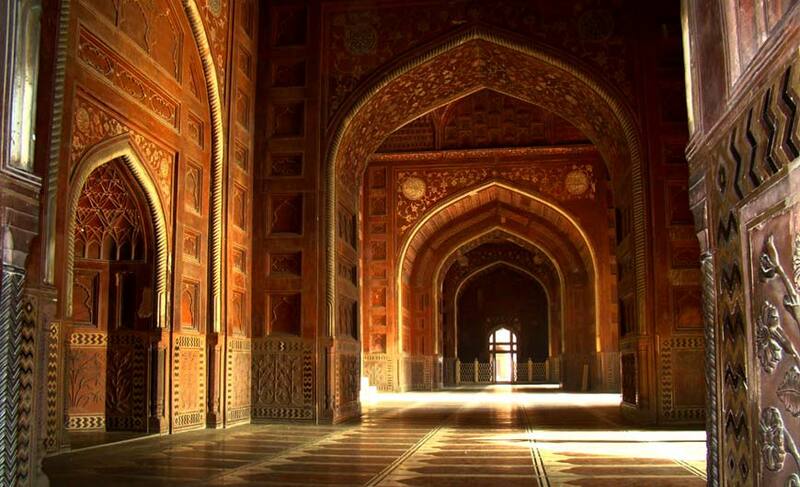 Its timeless beauty earned it the coveted title of a UNESCO World Heritage Site. It is acknowledged as ‘the jewel of Muslim art in India’ and is also recognised as one of the Seven Wonders of the World. Its decoration encompassing mesmerizing calligraphy, exquisite mosaic work adorned with semi-precious stones and the marble designs will surely leave you over-whelmed. The majestic Taj looks pinkish in the morning, milky white in the noon and golden in moonlight. No image, painting or words are enough to express the richness and beauty of Taj Mahal. Come explore this mesmerizing architectural wonder, every inch of which speaks volumes about the rich cultural history of India. Visit this monument of a love story and you will go back home with an experience of a lifetime.